Locals from Hastings call Andrew Lacey from Antenna IQ. Hasting’s local expert digital television antennas, installation, repairs and television wall mounting services. 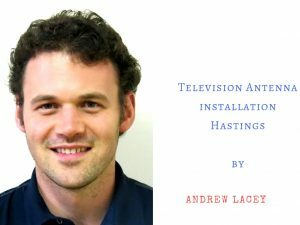 Andrew Lacey from Antenna IQ has over 18 years of local expertise fixing difficult television reception issues in Hastings. Hastings unique environment is tough on sub standard television antennas and incorrectly installed antennas. New phone towers use frequencies previously allocated to television broadcasts, causing major issues for inadequately filtered television and radio amplifiers. Correctly identifying and installing the television antenna where the best signal on the roof is found will also make a major difference to television reception. The experts in TV reception in your home and also providing business solutions such as distribution solutions for reception and distribution of tv, video, radio and audio.